Google was first incorporated as a privately held corporation on 27 September 1998. Twelve years later the company celebrates with a birthday cake from 89 year old Los Angeles painter Wayne Thiebaud (pronounced Tee-bo). 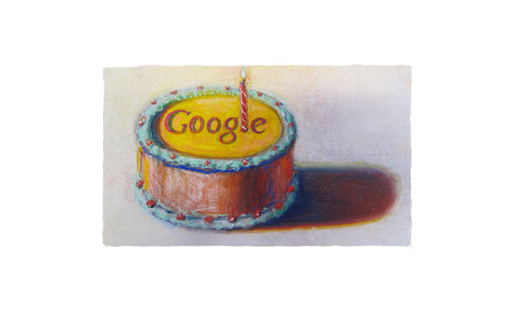 The cake, with a candle representing the “L” in “Google”, is featured on Google’s home page today. Thiebaud’s work, represented by VAGA, Visual Artists and Galleries Association, includes many cakes, pies and pastries, most painted in the 1950s and 1960s. 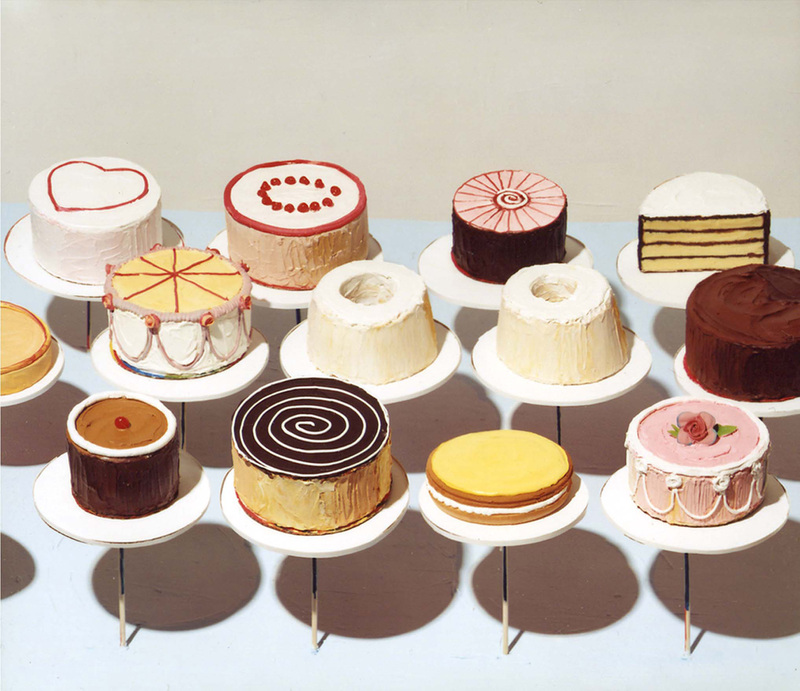 “Cakes”, one of Thiebaud’s most well known paintings, was painted in 1963. The oil on canvas is in the National Gallery of Art, Washington DC. 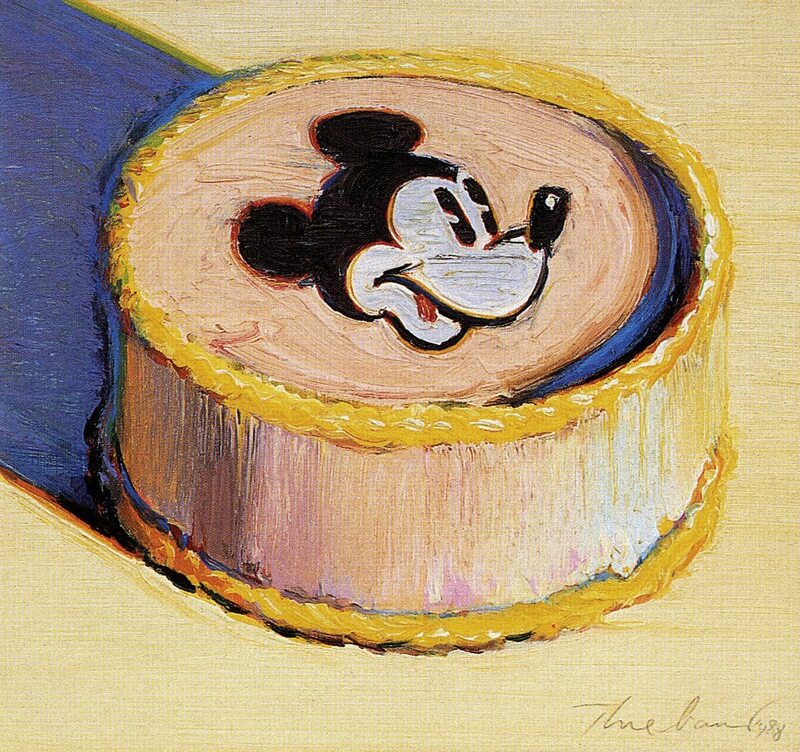 “Yellow Mickey Mouse cake” was painted in 1988.